Ticket sales will commence Saturday, November 9th, 2019 at 9am at the Strath Ale, Wine & Spirit Merchants 919 Douglas Street, Victoria, BC. No orders will be accepted by telephone. 16th, 17th, 18th, and 19th of January 2020 at the Hotel Grand Pacific. 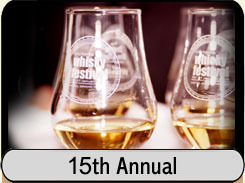 As in previous years, all tickets for the 2019 Victoria Whisky Festival sold out quickly. See the countdown clock on this page for information on purchasing 2020 festival tickets. We were very pleased to present the sold out 14th Victoria Whisky Festival which ran through January 17th to the 20th, 2019 at the 5-star Hotel Grand Pacific located on Victoria’s beautiful Inner Harbour. Tickets were in high demand at both the Hotel Grand Pacific for out-of-town purchasers and the Strath Liquor Store for local purchasers. Our friends at the Strath once again opened the restaurant next door for those waiting their turn to buy tickets. This was an excellent opportunity to explore three distilleries in one sitting. An experience for the Whisky Explorer. Mike Brisebois, Brand Ambassador for Distell Malts led participants through a tasting including Bunnahabhain, Deanston and Tobermory Distilleries. Our story is one of a journey home. For nearly a century, the only way our precious whisky could reach the outside world was by the sea. Steamers, running day & night, in all weathers, through Islay’s fast-flowing sounds. Every mile they’d sail would be another further from home; the calm & peaceful haven of Bunnahabhain Bay. We toast their journey today, the way they would have then – with a depth of flavour only Islay’s smoothest single malt produces. A taste only possible from one unique home. Our commitment to using a traditional, hand crafted approach to our whisky embodies the honesty of our community. Our adherence to traditional methods combined with the skills and experience of our distillery team makes Deanston the unique single malt it is today. The only distillery on the picturesque island of Mull, Tobermory Distillery (formerly Ledaig Distillery), is one of the oldest commercial distilleries still operating today. Since its establishment, in 1798, the distillery has had a rich past, passing from one owner to the other, resulting in long sleepy spells, the longest of which was undoubtedly in 1930 for over 40 years. The Victoria Whisky Festival was once again very proud to co-host the annual Canadian Whisky Awards ceremonies at the Hotel Grand Pacific. Hosts Davin de Kergommeaux and Heather Leary were joined by members of the judging panel to reveal the best Canadian whiskies of 2018 and present medals and awards to their producers. Old Pulteney sets sail with a new fleet of inspired whiskies. Defined and shaped by its stunning coastal location, Old Pulteney owes much to its home town of Wick. Established in 1826 at a time when the town was home to a thriving fishing port, the distillery has a strong place in the heart and history of this coastal community. With traditional warehouses exposed to the invigorating sea air blowing in off the North Sea, Old Pulteney captures the taste of sea in every drop of its liquid gold; from subtle coastal chords to more defined salty notes. Delivering a flavor spectrum from vanilla to spice with an added hint of saltiness. Old Pulteney takes you from vibrancy to indulgence. Those attending dug deeper into the story behind this historic whisky. They revisited some old favourite’s and were also lucky enough to be some of the first in North America to try some exciting new releases. Distilled and matured by the sea – Old Pulteney truly is The Maritime Malt. Brand Ambassador Beth Havers and Glenfiddich’s North American Brand Ambassador Team presented their favourite drams and the stories behind what makes them so special. The session was moderated by Glenfiddich Global Brand Ambassador Struan Grant Ralph and was a fun event with some great drams and some great stories that went along with them. Allisa Henley, Distiller, Sazerac of Tennessee, introduced attendees to some of the many expressions from the world’s most award-winning distillery. For over 200 years, Ardbeg has been made on the small, remote Scottish Isle of Islay. Some people travel to Ardbeg along the winding road from Port Ellen. Others follow their nose, their destiny or the advice of a good friend. Andrew Ferguson, Scotch Guy, guided you through an award-winning array of Ardbeg offerings and confirmed why Ardbeg is one of the finest whisky producers in the world. Founded in 1824, The Macallan has a legendary status among Scotch fans worldwide. Nestled above the Spey River, the distillery prides itself on deep roots and strong foundations. The Macallan takes pride in their mastery of wood and spirit, which blend exquisitely to create a unique Single Malt experience. This year, Cameron Millar introduced some new expressions for your consideration. With a long global history and an even longer history in Canada and the US, Canadian Club, founded in 1858 has been a household classic for over a century! Tish Harcus reviewed the history and highlights of Canadian Club and introduced some new expressions, culminating with a taste of history, the newly released 41-Year-Old Canadian Club Chronicles. 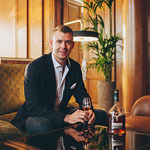 Native Scot and National Brand Ambassador for Glenmorangie Single Malt, Bryan Simpson, led attendees on a tasting of Glenmorangie’s Prestige Scotch Whiskies along with an exquisite dinner pairing” prepared by the Chefs of the Mark Restaurant. The 2019 Victoria Whisky Festival Opportunity Cost; The cost of an alternative Masterclass that must be forgone in order to pursue another Masterclass. A selection of Scotch and Island born malt whiskies that blur the lines between the new and auld world were sampled. The GlenAllachie Single Malt has been officially launched, and this was an exclusive opportunity to be one of the first to taste the full range in Canada. Ally Stevenson, son of GlenAllachie co-founder Graham Stevenson, got everyone up to speed on the whiskies coming from this reborn Speyside distillery. Established in 1779, Bowmore is the first legal commercial Islay distillery and home to the oldest Scotch whisky maturation warehouse in the world. Attendees learned that ‘Islay’ is a provenance of Scotch Whisky, not a flavour profile. They learned also about the mysteries of the No. 1 Vault, where some of the world’s most legendary and rare whiskies developed their flavours over the centuries! Established in 1881, Bunnahabhain is the most northerly of the Islay distilleries and one of the most remote. Over-looking the sound of Islay, a vast stretch of sea travelled by many a seafarer, as illustrated by our Helmsman iconography, the name Bunnahabhain means ‘mouth of the river’ and refers to the Margadale River from whose clear spring waters the whisky is distilled. Bunnahabhain is the only distillery on Islay to produce whisky using pure spring water and also boasts the tallest stills on Islay, both of which combine to produce a light, aromatic and complex spirit. At Bunnahabhain all our single malt is non-chill filtered and natural in colour – the way whisky would have been produced at the hands of our forebears many years ago. We discovered The Sound of Islay with Mike Brisebois, Brand Ambassador for Bunnahabhain. This Masterclass explored the diversity of Speyside. From the rich sherry cask flavours of Aberlour to the delicate fruit forward spirit from the stills of Scotland’s oldest continuously operating distillery Strathisla. We explored some lesser known distilleries hard at work creating malts for the Chivas Bro’s beautiful blends. Glenmorangie has been producing light, fruity single malt for 175 years, and has been at the forefront of innovation from the beginning. We learned about all the ways Glenmorangie has changed single malt with National Brand Ambassador, direct from Scotland, Bryan Simpson. Irish Whiskey Ambassador, Ciara Fitzgerald, walked us through an incredible range of Irish Whiskey from the Midleton Distillery. Attendees were taken on a journey through the rich history and heritage of Irish Whiskey and learned about the production process that gives Irish Whiskey it’s unique characteristics. This was followed with a guided tasting of some of Ireland’s finest Single Pot Still whiskies. We witnessed the magic that happens when whisky meets chocolate. Curated and presented by Adam Bradshaw of The Dram Association and David Mincey of The Chocolate Project. Masterclass I and II were different classes with unique whiskies and chocolate. The famed Classic Malts have opened many peoples’ eyes to the joys of whisky and ably demonstrated the differences between the various degrees of flavour profiles and regional characteristics of Scotland's whiskies since their release as a collection in 1987. Michael Nicolson walked us through the award winning whiskies from the Highlands, Lowlands, Speyside and the Isles. The Festival was very pleased to once again hold a Japanese whisky masterclass featuring the excellent whiskies of Nikka Whisky Distilling Co. Japanese whisky has become world renowned for its finesse and quality, producing elegant and widely varied malts. This class covered the history of whisky in Japan and followed the story of Nikka’s founder, Masataka Taketsuru, the “Father of Japanese Whisky”, whose travel to Scotland and back shaped the history of whisky production in Japan. We tasted malts and blends from Nikka’s two distilleries, Yoichi and Miyagikyo, and learned how Taketsuru’s enduring influence has allowed Japanese whisky to carve out a unique niche for itself, and concluded with a brief tasting of what the future has in store for Nikka Whisky. Masterclass I and II were the same class at different times. We dove into an exploration into the concept of Terroir in single malts. Barley varieties, growing locations, malting techniques, peat types & aging conditions are all determining factors in the outcomes of quality whisky. This masterclass brought light to all of these concepts in the best way possible, by raising a glass! Compass Box goes from strength to strength as John Glaser & co. expand what it means to make blended Scotch Whisky. There's always something new around the corner at Compass Box, and we tasted many of the new releases like "Flaming Heart," "Delilah's" and "The Spaniard" with Brand Ambassador James Bornn. Founded in 1798, Highland Park is the northernmost Scotch distillery. Within a strong environment, thrives a strong culture melded of Vikings and Scots. The Scotch made here has its own character, defined by the island, its constraints and its strength, the people. Considered by some to be the most well balanced Single Malt, it was certainly worth our consideration! Struan Grant Ralph, Global Brand Ambassador and Beth Havers, Canadian Brand Ambassador - shared some of Glenfiddich’s finest single cask whiskies. This was a unique chance to try 6 whiskies, hand selected for this masterclass and brought directly from Dufftown especially for the Victoria Whisky Festival. Colin Bussiere of Only Hearts Spirits gave a Masterclass expanding our perception and knowledge of American Whiskey. This master class introduced us to some of the rare and exceptional grain to glass craft Bourbons & Rye that are taking the world by storm. We explored the complexity of non traditional producers with the use of peat, multiple barrel finishes, and alternative grains in Bourbon and Rye. Master Blender, Dr. Don Livermore took us through the history behind of one Canada’s founding whisky barons, J.P. Wiser. We tasted the legacy of this iconic brand, and experienced classic to modern expressions of award-winning Canadian whisky! 4th generation Ardbeg worker and son of the distillery’s longest serving whisky maker, Ruaraidh MacIntyre took us on a journey from Ardbeg’s past into our present, with a couple of tall tales and a few old favourite whiskies along the way. In the small village of Bushmills, settled on the banks of the river you'll find the oldest working distillery in Ireland. A place where family and friends have worked for generations, in a small Northern Irish village that for over 400 years has kept to the philosophy that hand crafting small batches is the way to produce beautifully smooth tasting Irish whiskey. Seamus Molloy helped us discover why Bushmills is such an award winning whiskey. In wine, beer and food, there are longstanding traditions of terroir and a reverence for raw ingredients. Why then has the whisky business then refused to adopt the same philosophies? In this Masterclass hosted by Matt Hofmann, Co-Founder and Master Distiller of Seattle’s Westland Distillery, we explored how the pursuit of a sense of place influences decisions on raw materials, production techniques and maturation processes. 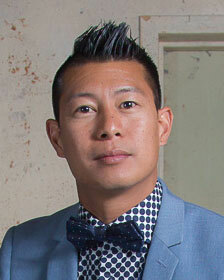 Matt discussed how he and his team work to create American Single Malt whiskies that reflect the distinct qualities of our time, place and culture here in the Pacific Northwest. Ian Macleod Distillers is the world's 10th largest Scotch Whisky Company and currently produces over 15 million bottles of spirits every year. International Brand ambassador Gordan Dundas took us on a journey of Whisky sipping and tales, from the distillery which is home to the Glengoyne range. Masterclass I and II were the same class at different time slots. The Craft Japanese Whisky Masterclass I with Andrew Ferguson, Scotch Guy! We experienced a cross-country journey of Japanese Craft whisky. A collection of unique spirits from Okinawa Island to north of Japan across from west coast to east. In this masterclass, we tasted a unique line up of ji-whiskies from 3 different distilleries, including Yamazakura whisky of Sasanokawa Shuzo who helped Ichiro Akuto from Chichibu Distillery save remaining stock from the new-closed Hanyu Distillery and assisted Akuto in establishing his brand. We were also introduced to 2 new whiskies: Kujira whisky, an age statement single grain whisky that is truly authentic Japanese, and Shinobu whisky which has enjoyed a finishing period of rare Japanese oak cask, Mizunara! Tomatin Distillery positions itself as the ‘Softer Side of the Highlands and its recent successes have been built on an incredibly diverse core range. Rumi Jaffer brought the distillery to life and guided us through the intricacies and intrigue that is created by such an assorted portfolio. By experiencing the location, the ingredients, the people - and a few laughs – those lucky enough to have attended left having had some fun and with some new knowledge of what makes a Tomatin. Michter’s redefines your perception of Kentucky bourbon and rye, the expressions giving fantastic depth and complexity. We tasted through a full complement of whiskies from the Michter’s range including the rare 10 Year single casks and be enlightened on the beauty of this unique artisanal whiskey. Laphroaig is a perennial fan favourite and the number one selling Islay Single Malt in the World! As they say at Laphroaig: ‘We don’t make friends easy, but when we do its usually for life!’ Simon Brooking led us through some favourite expressions and as always weaved in a few drams of Islay history. Drink the history as much as you love sip the whisky! Canadian Ambassador, Jamie Johnson and Global Ambassador, Gemma Paterson took us on a journey through the heart of The Balvenie distillery, through the stories of the men and women that work there. Our story began in 1785, with the opening of Deanston Cotton Mill. As its sheets and curtain lace became popular, the workforce grew, and the town of Deanston flourished. Sadly, as the fabric industry declined, the mill closed in April 1965. But as one era ended, a new one began. When Deanston Distillery opened on the banks of the River Teith the following year, the tight-knit community soon embraced a new skill – hand crafting single malt whisky. Today, this same skill, heritage and tradition continues. It’s why Deanston is more than bricks and mortar – and why our single malt is truly unique. We discovered what makes Deanston truly special with Mike Brisebois, Brand Ambassador for Deanston. Established by George Smith in 1824, The Glenlivet inspired a whole region, today called Speyside, which provides the world’s favorite style of Single Malt Whisky. What made The Glenlivet the definitive Single Malt as early as the 1840s is still true today, mineral rich water from Josie’s well, tall copper pot stills and careful maturation in only the finest casks. This masterclass covered the classic range from the Glenlivet as well as the newest releases including a single cask expression. Featuring bourbon, straight rye, and Tennessee whiskies from Woodford Reserve, Old Forester and Jack Daniel’s. We discovered the historical and modern day influences on flavour of North American Whisk(e)y. From grain to yeast, fermentation to distillation, the impact of oak and beyond. We raised a wee dram…or 4…with The Dalmore Single Malt Specialist, Louis-Jérôme Doise, and discovered the unique age statements that have been carefully crafted by The Dalmore’s Master Blender of 50 years, Richard Paterson. This Masterclass unveiled the uniqueness of The Dalmore and culminated with The Dalmore King Alexander III – the only single malt in the world with a unique six cask finish. In the early 2000’s, Forty Creek set the new benchmark for Canadian whiskies with an award winning portfolio build on innovation and flavor. North American Brand Ambassador, Chris Thompson, showed us why many Forty Creek whiskies have become Canadian classics as we shared a few favourite expressions from yesterday and today including the latest limited edition “Unity”. This was our chance to understand, explore and taste some of Scotlands best Independent bottled whisky. Stacy Kyle of Rare Drams poured 6 new single cask releases from Independent Bottlers Hunter Laing, Douglas Laing and Morrison & Mackay. A timeless dedication to respecting the past while fearlessly innovating for the future has served Buffalo Trace well for over two centuries. Distiller Allisa Henleyas helped us explore some of the many expressions made by the world’s most award-winning distillery. Black Bottle has had an unusual journey to reach the back bars of the world’s finest cocktail establishments, but it’s a journey that has been defined by character, determination and a sizeable measure of unconventionality. It began in 1879. Three Graham brothers – Charles, David and Gordon – left the rural village of Torphins, for the booming port of Aberdeenshire in the north east of Scotland, with a plan to make their fortune. They quickly made a name for themselves as tea blenders, but soon turned their attention to a very different drink – whisky. We discovered a taste of the unexpected with Mike Brisebois, Brand Ambassador for Black Bottle Blended. Ray Daniel, Bourbon Ambassador for Beam Suntory Canada led us though a Masterclass in Bourbon history and innovation. We learned what it takes to successfully make a change that impacts an industry, and qualifies for entry into the Kentucky Bourbon Hall of Fame. Some of the biggest trailblazers in Bourbon distilling from Jim Beam to Maker’s Mark were sampled! The Speyburn and anCnoc masterclass, presented by Gordon Stevenson, promised to combine great depth of knowledge with stunning whisky. Gordon is the Export Sales Manager for International Beverage Holdings responsible for the Americas and brings a wealth of first-hand industry experience to his sessions, from close knowledge of production systems to the heritage and commercial aspects of the Scotch whisky world. The tasting explored the unique characteristics and key differences of these two renowned distilleries. Speyside, in the north east of Scotland, is a region synonymous with quality whisky and traditions. And, at the heart of Speyside, lies Speyburn Distillery. We are shaped by this rich, lush region and are proud to be a part of its living history. The tasting featured two Speyburn expressions. Moving in to the Highlands, the tasting continued with the sweet and approachable classic that is anCnoc 12 Year old before quickly moving up a gear to the 18YO which has a heavy sherry cask influence and lastly the smoky intensity of anCnoc Peatheart. This was an excellent session, a journey through two of Scotland’s great hidden gems. After previewing the second annual Rare Release of the Northern Border Collection in Victoria last year, Dr. Don Livermore came back to give a first glimpse of the third annual Rare Release. We experienced the latest offerings from leading whisky brands: Lot No. 40, Pike Creek and Gooderham & Worts. We experienced exceptional whiskies from Shelter Point’s family-owned farm distillery on Vancouver Island. We enjoyed a look at life on the farm and what it is like to be distilling with bears, with Shelter Point Distiller, Leon Webb. All drams were at least 46% ABV, natural colour and non-chill filtered. Crown Royal's Dante Raphael Concepcion Jr took us on a behind the scenes look at Canada's Top Selling Whisky. We had the opportunity to sample unique distillates and maturates from Crown Royal's Gimli distillery, along with a few surprise whisky experiments. In addition, this seminar focused on the history and craftsmanship of Crown Royal and how our current distillers and blenders carry on the tradition that started back in 1939. This masterclass was filled with good conversation, good people and great whisky! The Craft Japanese Whisky Masterclass II with Andrew Ferguson, Scotch Guy! The VIP Tasting was open to special guests of the 2019 Victoria Whisky Festival and VIP Ticket holders. It was held in the Vancouver & Pender Island Ballrooms prior to the Consumer Tasting and featured the full line of whiskies as with the Consumer Tasting. VIP Ticket holders were able to explore the range of whiskies being presented for a full hour prior to the Consumer Tasting (Ticket price included VIP Tasting & Consumer Tasting). The heart of the Festival was the Consumer Tasting held in the Hotel Grand Pacific’s Pender Island and Vancouver Island Ballrooms and featured a myriad of distilleries and whiskies including Canadian whisky, Scottish single malts and blended whiskies, Irish whiskey, Japanese, Indian, French, Swedish, Australian whiskies and a variety of whisky & whiskey styles from the United States of America. Each attendee was provided with an engraved Glencairn whisky nosing & tasting glass as well as assorted product information from the presenters. The Hotel Grand Pacific once again provided the best Hors d’Oeuvres from their award winning kitchen and Chefs using local ingredients including the very popular & elusive haggis tarts created especially for the Victoria Whisky Festival! Here we were able to satisfy our whisky curiosity by sampling our choice of over 150 whiskies, the largest selection available for such an event in British Columbia. This exceptional dinner was by invitation only; the culinary team at the Hotel Grand Pacific led by Executive Chef Rick Choy paired some exceptional local ingredients with some outstanding whiskies.